Dubai: The tourism dirham, a new fee announced by the Dubai Department of Tourism and Commerce Marketing (DTCM) in January, takes effect on Monday. The fee is imposed on guests staying at hotels and hotel apartments in Dubai per room per night. Hotels will collect the fee and pass it on to DTCM. “The revenues raised from the tourism dirham will be used to fund the development of the emirate’s tourism and trade sectors, which includes investment into both enhancing the destination offering and into marketing,” Issam Abdul Rahim Kazim, CEO of Dubai Corporation for Tourism and Commerce Marketing (DCTCM), a new affiliate of DTCM, told Gulf News in an emailed statement. The corporation is responsible for the international promotion and marketing of Dubai. Kazim did not provide a figure for the contribution of the tourism dirham to the tourism industry’s revenue. A fee of Dh20 is charged by five-star hotels, Dh15 by four-star hotels, Dh10 by two- and three-star hotels and Dh7 by one-star or budget hotels, according to DTCM. Hawthorn Suites by Wyndham is charging guests Dh10 per room per night, while Ramada Downtown Dubai is charging Dh20. 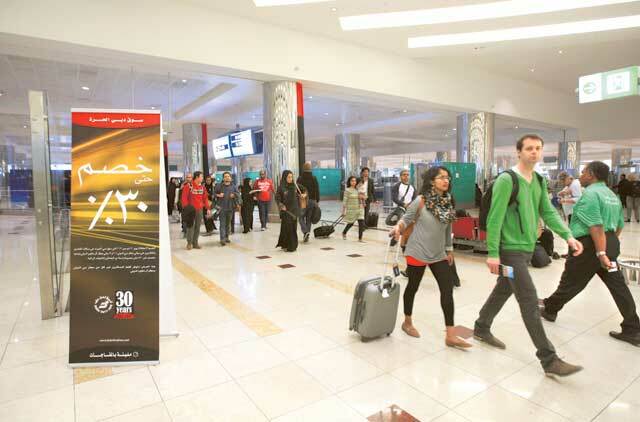 “We expect the success [of the tourism dirham] technically. However, operationally the hotels may face some challenges of collecting the fees from guests being new introduced charges,” said Christophe Landais, regional Managing Director of Accor, a French hotel operator. He added that the fee will eventually “move smoothly” as guests become more aware of it. Meanwhile, hotels on ClearTrip, an India-based travel website with operations in the UAE, are charging guests the tourism dirham on top of the price of the room, according to Tareq Khatri, the company’s Senior Vice- President of Business Development. Khatri pointed out that the tourism dirham will not discourage travellers from staying at hotels in Dubai since they are paying a small fee. Similarly, Kulwant Singh, Managing Director of tour operator Lama Tours, said he did not believe there is any “negative sentiment” from customers.